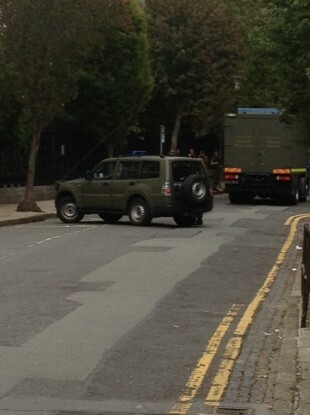 A DEFENCE FORCES bomb disposal team was called out to deal with chemical substances in two locations in Dublin today. It was called out to a grammar school on Kevin St and to Belvedere College on Denmark St after separate queries about hazardous substances. It is understood both locations were evacuated and that material was taken, as per routine procedure, to be destroyed. Generally, the Defence Forces wait until classes are finished at the school for the day before evacuations take place. No IED devices were involved in the callouts. The hazardous material came from a school laboratory at Belvedere College. Email “Bomb squad examines hazardous substances in two schools ”. Feedback on “Bomb squad examines hazardous substances in two schools ”.